This detailed map covers the historic village of Poulton-le-Fylde, just east of Blackpool. In 1837 this was described as "an ancient port and metropolis of the Fylde". Most of the centre is shown in detail, with individual buildings, and major features include St Chad's church, station, The Green, Little Poulton, The Breck, railway junctions, old railway (shown as disused) with goods station, Little Poulton Hall. 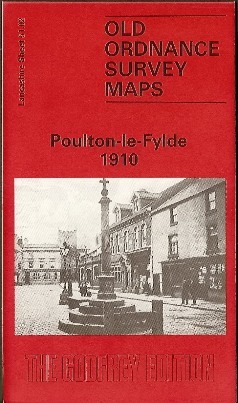 On the reverse we include an old directory of Poulton.